from 40m above the ground. The roadside rest area "Amarube" is a Japanese-style single-story wooden building, whose architecture was inspired by a boathouse. 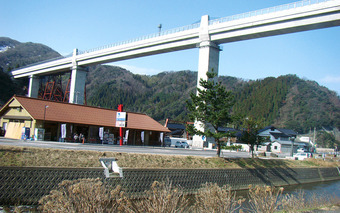 It is located underneath the rebuilt Amarube Railroad Bridge. They provide fresh seasonal seafood from Kasumi port at a low price. 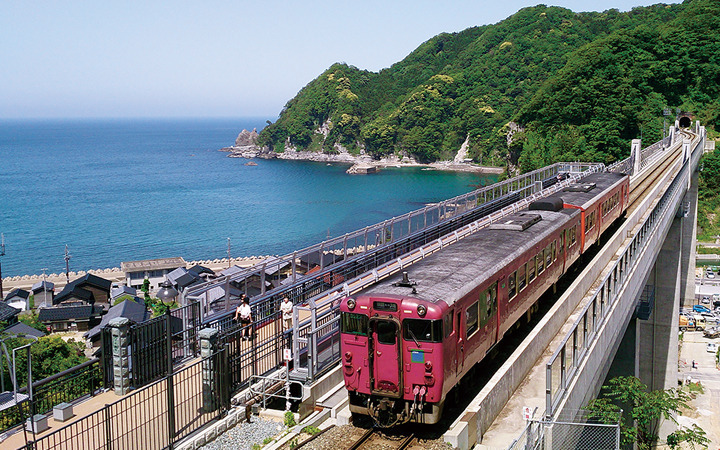 If you go up to the observation platform of "Sora-no Eki" (station in the sky), which was built in 2013, you can enjoy watching the passing trains and the beautiful ocean scenery from 40 meters high. 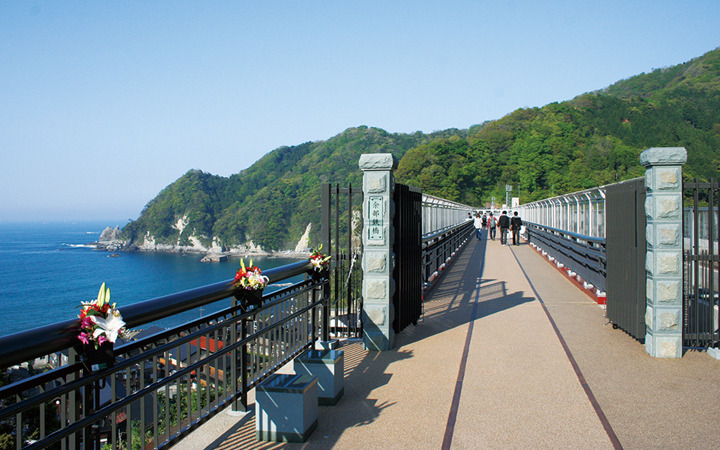 "Takanosu-no-mori" is a recommended nature trail that you can stroll along if time allows. It is across from Amarube roadside rest area. Visitors can walk up to the observatory in 20 minutes and enjoy a great view of Amarube Railroad Bridge.